Jed Boeger Bernard was born and raised in Northern California. He attended the University of California at Santa Barbara as well as California State University Chico, with semesters abroad in Switzerland and Mexico. After a two-year study of Meisner Technique with his undergraduate drama classes in Northern California, he played the role as Prince Ferdinand in Shakespeare’s The Tempest within his University’s acting troupe. Jed earned a degree in Business Administration with a concentration in Marketing and minors in German and Drama, intending on entering the field of International Marketing; to be true to his heart he decided to move to Los Angeles and pursue his long-time dream of an acting career. Within his first year in Los Angeles, he co-stared in FX’s “Nip/Tuck”, Season 2, (Ep. 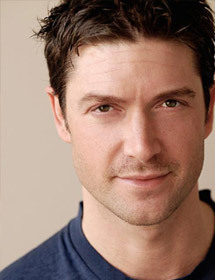 # 9), and played “Barry” opposite Kim Bauer on “24”‘s Season 3’s finale (Ep. #24). He also has a supporting role in the film, I COULD NEVER BE YOUR WOMAN, (2007), directed by Amy Heckerling, playing opposite Stacey Dash. Jed’s latest film, Nothing, (2008) was honored as an official selection in the 2008 Newport Beach Film Festival. More info on Jed at imdb.com.